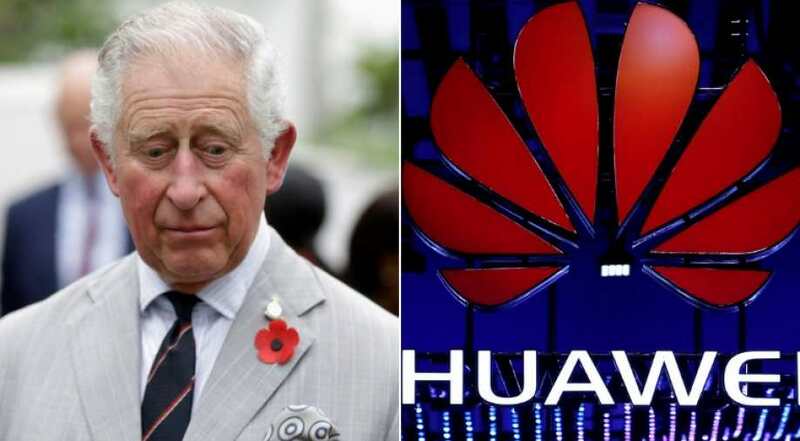 London - The charity founded by Prince Charles, heir to the British throne, said it would no longer accept donations from Huawei, the latest blow to the Chinese telecoms company in its fight against global accusations of espionage. Huawei, the world’s biggest producer of telecoms equipment, is facing scrutiny in the West over its ties to the Chinese government and concern its equipment could be used by Beijing for spying. It has repeatedly denied the allegations. However, the move by the Prince’s Trust, coming just one week after Oxford University also dropped Huawei funding, showed how the tide is turning in Britain. Huawei has played a central role for over 10 years in building broadband and mobile networks. “At present, we are not accepting new donations from Huawei in light of public concerns. “Future donations will continue to be reviewed by our Ethical Fundraising Committee,’’ the Prince’s Trust said in a statement. The Prince’s Trust, founded by the eldest son of Queen Elizabeth in 1976 to help disadvantaged young people in Britain, said it had received 490,000 pounds from Huawei since 2007. “We regret that decisions of this sort are being taken as a result of ill-informed and unfounded discourse about Huawei,” Huawei said. The company is battling to defend itself in Western nations bent on shutting it out of their markets. In the most serious move, Meng Wanzhou, its finance chief and daughter of Huawei founder Ren Zhengfei, was arrested in Canada on Dec. 1, 2018, at the request of the U.S. over alleged violations of U.S. sanctions on Iran. She is currently under house arrest, while China is demanding that she be freed. Polish authorities earlier this month also arrested a Huawei executive on spying allegations, fuelling Western suspicion against Huawei. According to a report, Microsoft says Bing has been blocked in China. The U.S. and allies including Australia have restricted Huawei from working on next-generation 5G mobile networks. Meanwhile, Germany is debating whether to follow suit. Britain had previously welcomed Huawei’s involvement after BT, the leading mobile and fixed-line provider, started incorporating its equipment into networks in 2006, helping it to ramp up internet speeds. John Browne, a former boss of oil giant BP and one of Britain’s highest-profile businessmen, is the non-executive chairman of Huawei Technologies UK. The group worked with leading universities to further research and development. However, British officials have lately followed the U.S. in voicing concern. In December, BT said it would remove Huawei equipment from the core of its existing 3G and 4G mobile operations and not use the Chinese company in central parts of the next 5G network.